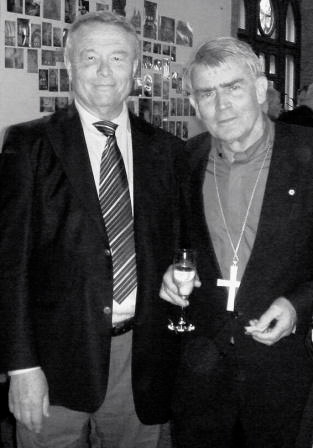 Hans Schroeder and Pastor Manfred Brockmann of Vladivostok. This event was held on Sunday April 1, 2012. We began with a delicious community lunch at 12.30 pm followed by a brief AGM before hearing our guest speaker at 2.00 pm. Hans Schroeder spoke about German Lutherans in Russia. The venue was the Ivanhoe Lutheran Church, 27 Livingstone St, Ivanhoe, Victoria.